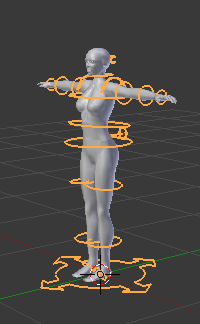 This will create a new female Avastar character. 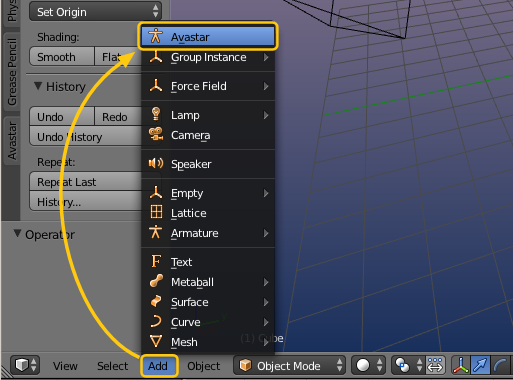 After a short time (typically 2-4 secs) a new Avastar character is created in the 3D View and at the current 3D cursor location . Important: The Avastar figure is an exact representation of the SL Avatar, based on the SL Avatar definition from Linden Labs and so it is fully compatible with the character from Second Life and all similar online worlds like OpenSim for example. You can hide (‘h’) or remove (‘x’) not needed parts (like the skirt or the hair for example) without breaking the tools. 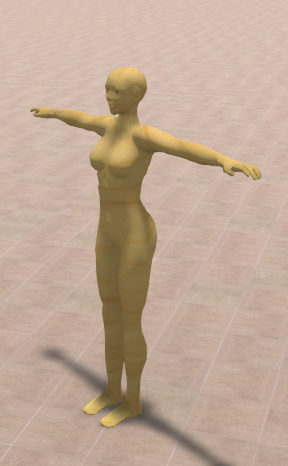 You can create as many characters as you like and thus you can create multi-character animations. Multi-character animations will be explained in the reference guide.